The Knox County E-911 Board on Friday again declined to sign off on a $9 million radio system contract, but officials have not yet killed a proposal to do business with Harris Corp, the company that won the rights to provide a digital communications system that would connect thousands of local emergency responders. Instead, board members opted to look into just how much it would cost to join the Tennessee Valley Regional Communications System and whether doing so would enable the county to receive financial support to sign Harris or a similar company. "We are getting some additional information to decide if what is proposed to us is the best way to then be able to build our own system and connect to the valley system," Knoxville Mayor Madeline Rogero, who also serves on the E-911 Board, said. "This is about the safety of our community. This is about making sure our emergency responders – police, fire, and ambulance, all of them have a good system that they can rely on and that will be there when they need it. We can tie in to each other and others in our region." Board members want to see if also connecting it to the TVRCS will open up the county to additional funding it might not necessarily get. In others words, the board didn't want to immediately agree to the Harris contract in fear that it would commit itself to paying the company $9 million when there is a chance that state or federal money is available by joining the regional network. "If you go a little slower, you will get there a little faster. That's what we are doing here today," county Mayor Tim Burchett said. "If there is another option where we can provide better public safety with cost savings to the taxpayer, we would be foolish not to address that." 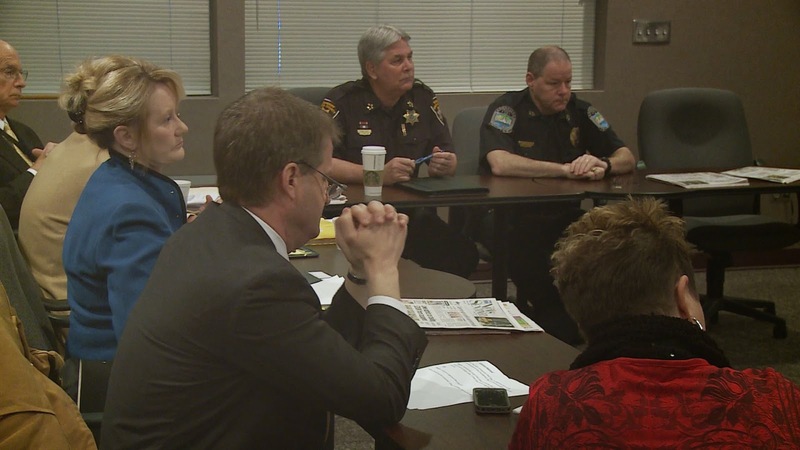 The E-911 board agreed that a 6-member "users" committee comprised of emergency personnel from the Knoxille Police Department, the Sheriff's Office, the city's fire department, FEMA, Rural Metro and Farragut would look into the TVRCA issue, and report back more than likely during the board's next meeting on April 15. At that point, officials could potentially vote again on the Harris or contract or opt to send the entire process back to the drawing board.